RIJASOLO | A man was shot in the back of the head by the police. Between 500 and 800 opposition supporters met on 21 April in Antananarivo to protest against the draft electoral law already adopted by the National Assembly. 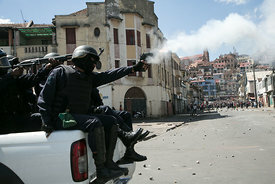 The demonstration was severely repressed by the riot police because it was not authorised by the authorities (current toll: 1 dead by gunshot and 16 wounded according to emergency services). 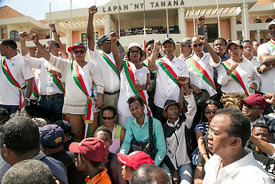 The demonstrators managed to take over the 13 May square where the town hall of Antananarivo is located. Members of the TIM party (Marc Ravalomanana's party) are currently making speeches to the crowd. .
A man was shot in the back of the head by the police. Between 500 and 800 opposition supporters met on 21 April in Antananarivo to protest against the draft electoral law already adopted by the National Assembly. 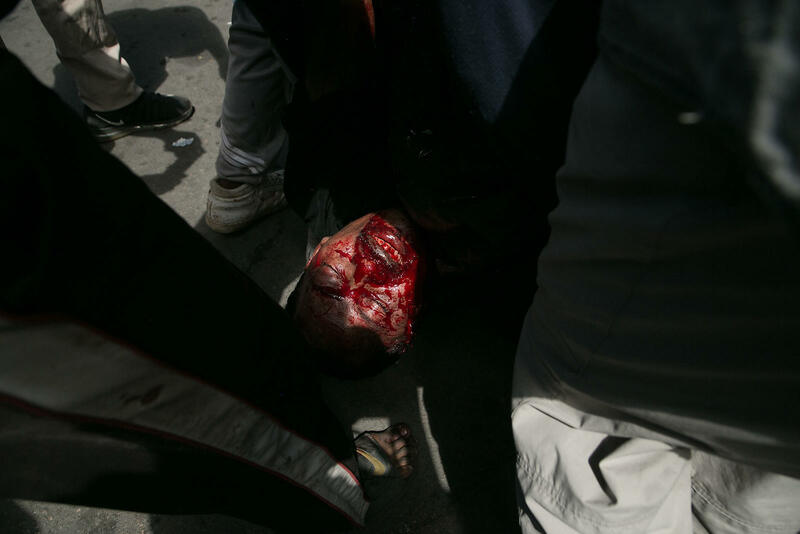 The demonstration was severely repressed by the riot police because it was not authorised by the authorities (current toll: 1 dead by gunshot and 16 wounded according to emergency services). The demonstrators managed to take over the 13 May square where the town hall of Antananarivo is located. Members of the TIM party (Marc Ravalomanana's party) are currently making speeches to the crowd. .